Organic farming is an alternative agricultural system which originated early in the 20th century in reaction to rapidly changing farming practices. 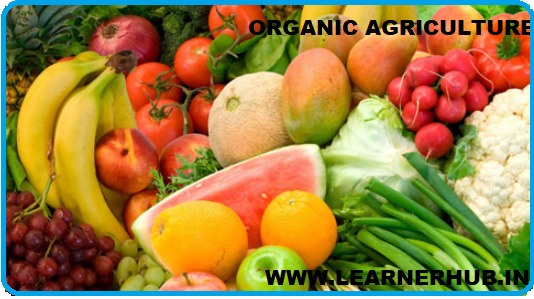 Organic farming continues to be developed by various organic agriculture organizations today. It relies on fertilizers of organic origin such as compost manure, green manure, and bone meal and places emphasis on techniques such as crop rotation and companion planting. Biological pest control, mixed cropping and the fostering of insect predators are encouraged. In general, organic standards are designed to allow the use of naturally occurring substances while prohibiting or strictly limiting synthetic substances. For instance, naturally occurring pesticides such as pyrethrin and rotenone are permitted, while synthetic fertilizers and pesticides are generally prohibited. Synthetic substances that are allowed include, for example, copper sulfate, elemental sulfur and Ivermectin. Genetically modified organisms, nanomaterials, human sewage sludge, plant growth regulators, hormones, and antibiotic use in livestock husbandry are prohibited. Reasons for advocation of organic farming include advantages in sustainability, openness, self-sufficiency, autonomy/independence, health, food security, and food safety.